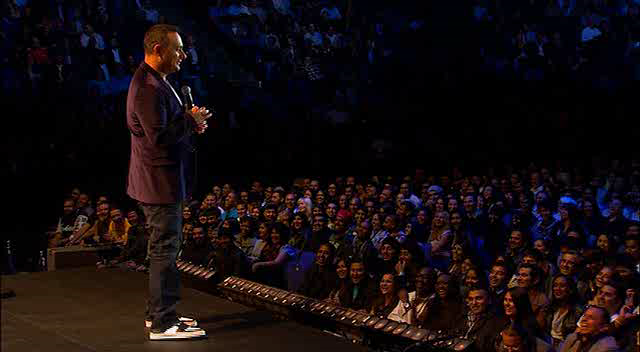 Russell Peters is coming back to Cow Town on June 19! I missed his show last time he was in town because I couldn't justify the high price tag and I believe this time is more or less the same in regards to price. I would like to know other people's thoughts on this. Would you willingly pay $140 for something that would probably be more enjoyable from the comfort of your couch in the form of a YouTube clip? I understand going and seeing a comedian at Yuk Yuks or the Laugh Shop or something...the audience is small and the person beside you may get made fun of for being a fugly heffer or something - but at the Saddledome? I just don't think it is worth it. But I guess buddy needs to make a living. And Russell is pretty damn funny. If you would like to buy tickets they go on sale on Ticketmaster on April 14.